Two innovators have published a great book about seniors, seniors in church settings, and seniors as victims of a productivity-oriented culture. The book came out almost five years ago, and it’s more relevant than ever today. It tackles topics like seniors being out of touch, seniors’ susceptibility to depression, youngers’ loss of olders’ wisdom and values, churches’ loss of ministry resource people, and what can be done to turn things around. The authors challenge ageism at its broadest, but perhaps take their most direct aim at seniors, themselves! As the baby-boom generation creeps more and more into Western consciousness, it’s time we listened up. Consider people moving into the last season of life, say the authors. In most societies, they are respected, loved, listened to, appreciated. Seniors can bless those around them. They can bring a unique perspective to current issues, because they have, indeed, lived longer. Most seniors by this season of their lives have wisdom to share, passion to energize and understanding to articulate values that younger generations need to hear. Most seniors demonstrate committed love, strength and encouragement, and most societies treasure these qualities. But our society? Not so much, say Houston and Parker. And that is the nub of this book. In a biblical context, rabbinical writings call the aged a ”source of wisdom”. The Ten Commandments include God’s instruction to honour father and mother. In traditional societies the world over, elders (the authors’ preferred word for old folks) are consulted and heeded as heads of the family or clan, beyond question as legitimate leaders who need no formal office or political clout. The sad part is that many elders believe those myths, and psychologically, perhaps even spiritually, they lose hope. If seniors believe they are irrelevant and keep their silence, their families miss out on love, transference of values and caring. Houston and Parker argue those values form part of the fabric of a healthy society and a healthy family. Most churches also put seniors out to pasture, regarding them as only fit to be ministered to, rather than being resources to provide ministry. Many church leaders, along with their secular society, give seniors little regard, saying they are past their prime and are out of touch. So aged people live below their potential and cheat themselves and their loved ones out of the fruit that God had designed for this season of life – a new level of joy, fulfillment and involvement with others. But what about Alzheimers and dementia, or physically debilitating conditions? Houston and Parker argue that, even in incapacity, elders’ contributions to the people whose lives they touch is immense. Cancer, dementia, and various conditions of pain do come with periods of clarity or pain reduction that permit the sufferer to talk, allow thought, and reflect on what is happening to those they care for. Even when the burden of caring becomes heavy as the condition worsens, the love and the “moments” can be precious within the family. Just listen to the stories at funerals! Houston and Parker say, “It’s not what we suffer, but how we suffer,” and there is still meaning in the ill senior’s relationships, caring and even their ability to give of themselves. The authors do not mention funerals, but it is common at services to hear loved ones reflect on the life of the deceased. It’s the love, the good times, the funny stories – sometimes based on exchanges on a death bed – that provide the blessing to those who survive. 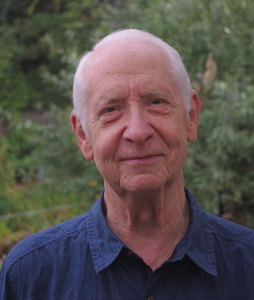 Houston and Parker speak frequently of a holistic view of an individual’s life, in contrast to a person’s productivity or usefulness in a culture that clings crisply to rationality, emotion-free analysis and logic. Holism touches the web of love, wisdom, advice, caring and meaning that family members and friends share. Each person, made in God’s image, leaves a lifetime legacy, say the authors, and if we do not recognize the fact, we are all the poorer. There are glimmers of hope. Some individual churches do utilize and value seniors in their ministries. 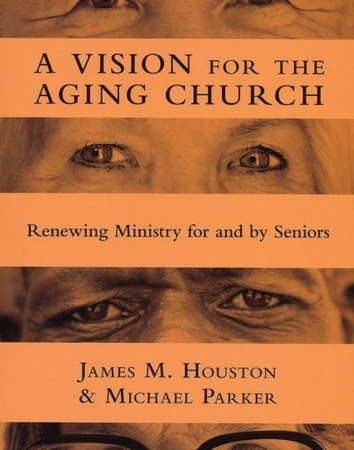 The authors have found – and Parker put into practice in Alabama – that Bible study groups, and inter-generational sharing in a church context, can be powerful in shifting cultures away from ageism. Some churches are also bringing themselves, medical and caretaking groups together for a mutual and more seamless response to difficult health developments in seniors’ lives when needed. Houston and Parker have found that, even in North America, there exist some groups of ministries dedicated to empowering their seniors. These associations share the conviction that it’s important to challenge seniors to “ministry-inspired leadership”. And they support seniors’ individual ministries to others within the church. The book has an excellent chapter on seniors’ depression, and contains many appendices that provide practical help on parent care readiness, government help, and many facets of support for both churches and senior ministers to use.